Acting Senior General Manager at Eskom’s Primary Energy Division, Daniel Mashigo, is expected to appear before the Commission of Inquiry into State Capture on Tuesday morning at 10 in Parktown, Johannesburg. On Monday, Chairperson of the Eskom board Jabu Mabuza gave evidence that demonstrated how some Eskom executives shared confidential Eskom information with Gupta associates. He said the purpose of this was to assist the Guptas and their associates to secure commercial opportunities at Eskom. Mabuza challenged 15 individuals including former Eskom boss Brian Molefe, Matshela Koko, and former board chairperson Ben Ngubane, among others, to appear before the commission. 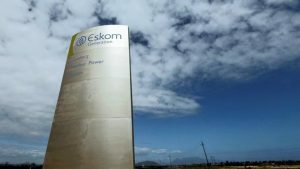 Mabuza said former Eskom executive, Matshela Koko, faced charges related to the sharing of classified Eskom information, which led to the appointment of McKinsey for the top engineers programme. He said former Eskom Chief Financial Officer Anoj Singh shared information about a R1.7-billion Absa guarantee for Tegeta with former Regiments boss and Gupta associate, Eric Woods. Mabuza said former legal head, Suzanne Daniels, approved for Eskom to pay over R1 million in legal fees for former Eskom board chairperson, Ben Ngubane for matters related to his tenure at the SABC. The post Eskom Senior GM to appear at State Capture Inquiry appeared first on SABC News – Breaking news, special reports, world, business, sport coverage of all South African current events. Africa's news leader..